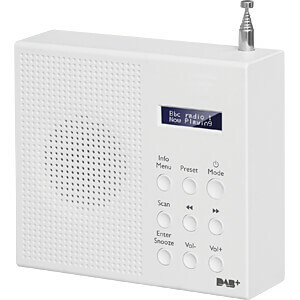 The compact DAB+ radio receives digital and FM signals in best quality. Easily switch between DAB+ and analogue FM radio at the touch of a button. Up to 10 digital and 10 analogue stations can be stored. The practical LCD display shows you station information, music tracks, date and time. The device is equipped with a 3.5 mm headphone connection. 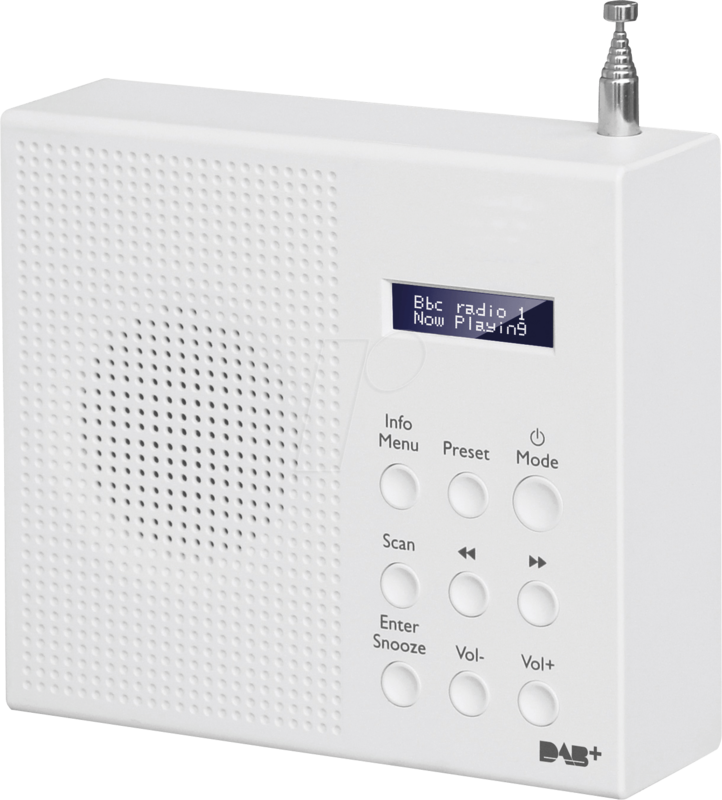 The radio can also be used as an alarm clock with two adjustable alarm times. Its compact dimensions and mobile battery operation make it ideal for on the go. • Typical charging time: 2 hrs. • Operation time: Up to 5 hrs.